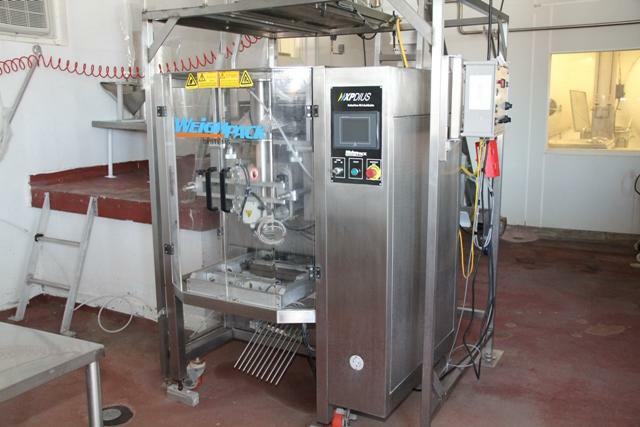 Get this used 2007 Weighpack XPDIUS 1200 high-speed packaging machine at High Performance Packaging today. This model is ready to ship and comes with a Mitsubishi PLC touch screen, auto film tracking, servo controlled pull belts and auto-retract pull belt assemblies. The XPDIUS 1200 is ideal for packaging 12” x 16” product bags, and is powered using a 220VAC 1 Phase power supply. If you would like to sell any of your used packaging equipment, we purchase packaging machinery that is still usable for other applications. This helps eliminate the costs and use of resources associated with manufacturing new equipment when it isn’t necessary. Even machinery that has been heavily used may still have years of use left before replacements are required. Operators unfamiliar with particular types of packaging equipment will harm your production line’s productivity if they aren’t properly trained. We offer comprehensive training to help ensure all of your packaging machinery is used the way it’s intended, with the highest level of efficiency. As a result, you’ll see more profit than setbacks in your production lines.